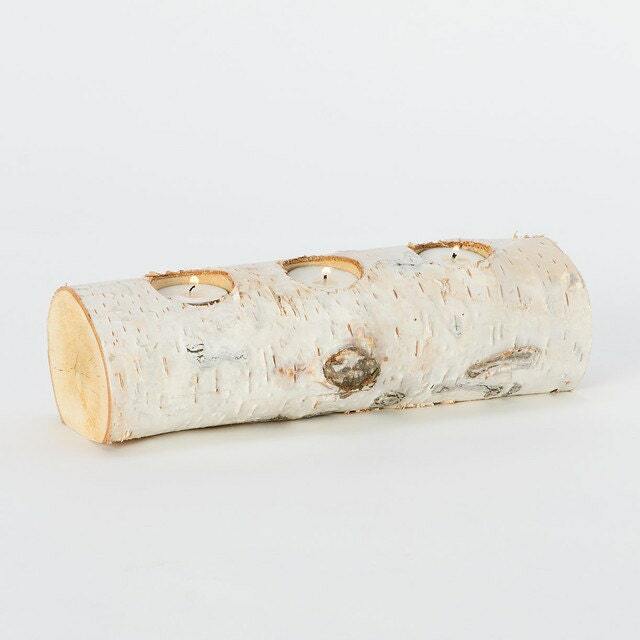 Birch Candles are perfect for any display. You can use these for weddings, dinner parties, an accent in any room of your home and much more. This sale is for 1 birch candle. They range in size from small 10 to 12 inches in length. The diameter is 3-4 inches. Each one comes with tea Lights for each place holder. You may combine orders, please view our shipping policies. Please indicate if you like the three or the five candles. Or less!